One of the most famous vineyards on the Black Sage road was sold recently. 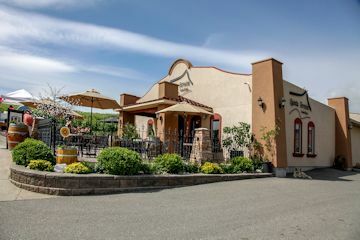 Sundial is the front half of a 110-acre property better known as Black Sage Vineyards. Planted in 1993, this was at the time the single largest block of Bordeaux red varieties in Canada. This was the block that established the ability of the Black Sage Bench to produce premium wines. The new owner of Sundial, Bai Family Estates, plans to complete the 25,000-square-foot winery already under construction there. Superstar California winemaker Anne Vawter will make the wine. She has already been the consulting winemaker for One Faith Vineyards, making wine since the 2012 vintage with grapes from Sundial. New Zealand-born Ross Wise (left) joined Phantom Creek in September, 2016, as the full time winemaker. 2016 wines have been released only reds. Black Hills Estate Winery s owned by Vinequest Wine Partners Limited Partnership comprised of five individuals who share this passion: Glenn Fawcett, Jason Priestley, Gary Nissen, John Houghton and Dale Burstall The winery donated a barrel of Nota Bene to a charity auction It sold for $19,000. Production is capped at around 4,300 cases a year. Black Hills was the first and is now one of only two Okanagan producers of carmenère. In 2008, Black Hills became the first winery to win the Lieutenant Governor's Award for architectural excellence. Jan 7 2019 Toss WIse becomes new head winemaker. Jason James winemaker at Sumac will be the winemaker for Black Sage Vineyards producing bold red and Pipe a Port Style wine. 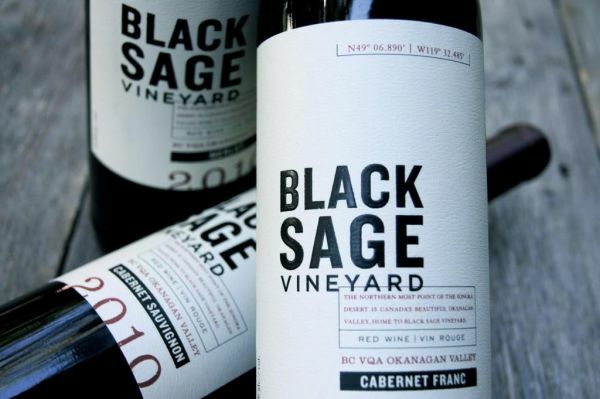 Jason took over the reins of Sumac Ridge in 2010, the year that Black Sage Vineyard launched under its own label. “It was an exciting process to see the transformation of something that had always been a part of Sumac to stand on its own. Owned by Arterra Wines Canada. Located on the prestigious Black Sage Road near Oliver, British Columbia, Burrowing Owl Estate Winery is one of Canada's most popular wineries with a reputation for producing premium wines of exceptional quality. Their wines have already been amply rewarded with top honours including Canadian Wine of the Year, Best Canadian Red Wine, Best Canadian Cabernet Sauvignon, The Lieutenant Governor?s Award of Excellence and internationally, their Meritage has twice won Best of Class. Jim and Midge Wyse selected their location based on the Canadian Grape Atlas (Ag Canada 1984), which identified this area as the best grape growing region in the country. Being nature lovers and with a vineyard surrounded by a wildlife preserve that in the past has protected the endangered burrowing owl, the naming of the winery was easy. The winery is now run by son Chris and daughter Kerry. 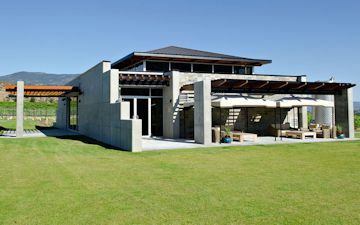 According to proprietor Jim Wyse, the winery at Burrowing Owl Vineyards is among the world's most modern. It was designed to use gravity flow and cool, temperature-controlled underground caves for fermentation and barrel aging. Burrowing Owl opened a fine dining restaurant in 2003 The Sonora Room, which is open daily for lunch and dinner from Easter to Thanksgiving. Red wines: Pinot Noir, Merlot, Cabernet Franc Cabernet Sauvignon, Syrah, Meritage. Athene a blend of Syrah and Cabernet Sauvignon. Philosophy: To create the finest wines in Canada, using classic techniques aided by the flow of gravity, extensive underground barrel cellars and ecologically sound viticulture practices. Church and States Coyote Bowl Vineyard was chosen for rich soil, fantastic exposure to the Western sun, and on the prestigious Black Sage Bench – one of Canada’s most sought after wine producing locations. 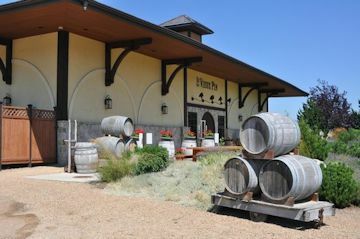 Kim Pullen purchased Victoria Estate Winery in 2004 and began sourcing grapes from the Okanagan Valley. Upon changing the name to Church & State wine that year, it began a transformation into a winery dedicated to producing the highest-caliber wines possible from BC fruit, starting with pouring out 20,000 cases of wine produced prior to his purchase that did not meet our rigorous quality demands. By 2009, production had moved to Oliver, BC, and construction of a new winery on Coyote Bowl Vineyard began. 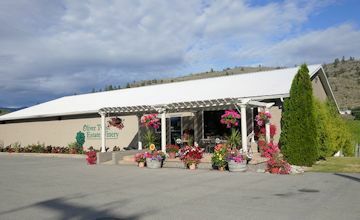 Now, Church & State farms 100 acres, in both Oliver and Brentwood Bay to produce only ten to twelve thousand cases annually, with two locations open to the public: Coyote Bowl on the Black Sage Bench, and Brentwood Bay near Butchart Gardens. Church & State Wines flagship red wine, the 2011 Quintessential was awarded the Canadian Red Trophy and a Gold Medal – a 95-100 point equivalent - from the International Wine Challenge in the UK 2014. Philosophy: To produce the best possible wines from exclusively BC grapes, through a belief in handcrafted quality, attention to detail and the highest standards we can achieve through teamwork, patience and dedication, both in the vineyards, and the cellar. 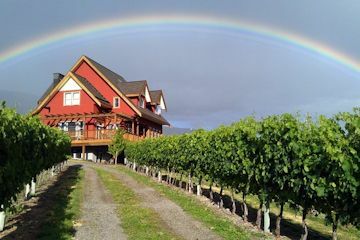 The winery was originally called Dunham & Froese Estate Winery but after five years of operation Winemaker Kirby Froese sold his share to his partners Gene and Shelly Covert. The Dunham half of the winery’s original name comes from Gene’s grandmother’s maiden name. 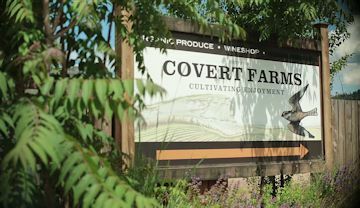 Historic Covert Farms was founded in 1959 on the plateau just south of McIntyre Bluff by George Covert, a Californian who came to the Okanagan to grow tomatoes, onions, tree fruits and, ultimately, grapes. The vineyard was large enough in the early 1980s that a mechanical harvester was tested (with indifferent results, because the early harvesters mangled the vines). Except for six hectares (15 acres) of table grapes, vines were pulled out in 1988 and were not replanted until 2005, when the partners decided to start a winery. which is certified organic, supports 5,000 cases a year. Philosophy: … Every vintage is an exciting story of nature unfolding. We aim to make wines that express the great details of this story. By carefully tending our vines for balance and varietal expression to minimal intervention in the winery, our wines reveal the essence of their time and place. 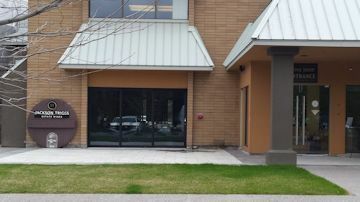 The winery was opened in 2003 by Randy, Jessie and Dave Toor. They had previously operated as producers of grapes for other wineries. 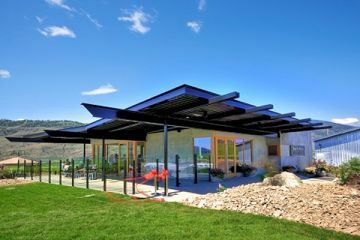 The winery overlooks the Okanagan River Valley. They started by selling their grapes to Domaine de Chaberton in the Fraser Valley, then producing their own wine. Today they produce over 10,000 cases. They recently added Zinfandel. 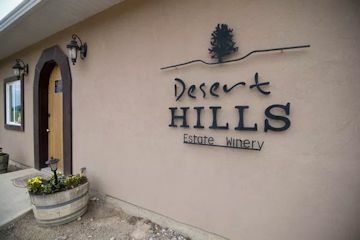 Desert Hills Estate Winery is a two time recipient of the Lieutenant Governor’s Award for excellence in winemaking and the winner of Canada’s Best Red. Signature wines, Syrah and a Mirage blend. A new winery opened in May 2018. 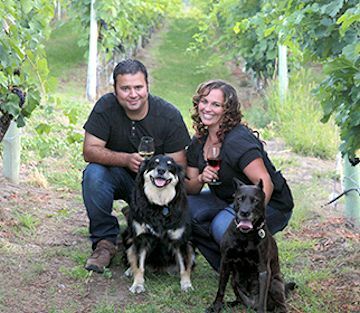 The winery is owned by Jamie and Leah McDowell. Thay are are hands-on winery owners, doing most of the vineyard work themselves. The winery operates 100% solar powered. The name...I have been in the BC wine business for a long time and often told my staff that we don't so much sell wine as we sell the story of wineries and winery people. 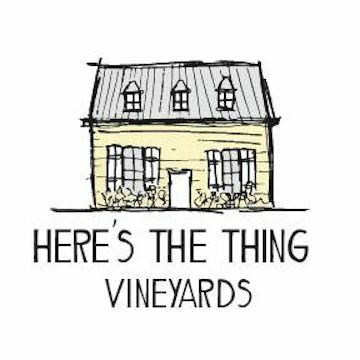 Keeping with the "story" theme, we think that many good stories start with "Here's the Thing..." Our back labels all start with "So, here's the thing...and go on to tell a story about that wine. We wanted something casual and fun even though we are very serious about making and drinking good wine. Leah formerly ran two VQA stores as well as a retail store under the Okanagan Estate Wineries license. Jamie, meanwhile, was the distribution manager for a large paper company. The major blocks in the vineyard are four acres of Cabernet Franc and three acres of Syrah. There is about one acre each of Gamay, Viognier and Roussanne. Size and number of Vineyards, Grape Varieties? 11.5 acres, 10 planted to Cabernet Franc, Syrah, Gamay Noir, Viognier and Rousanne. Your signature wines? Syrah and Gamay Noir. Winemaking Philosophy: Farm responsibly, do the best you can, take what the earth gives you and make the best wine possible. A small, boutique winery just ten minutes north of Oliver. The property is 3 acres planted with Cabernet Sauvignon . 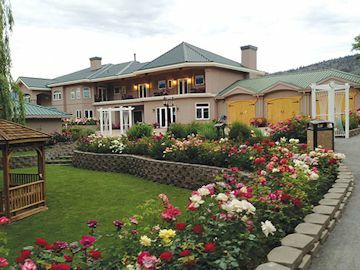 The winery was founded by Deborah Wilde and Lanny Kinrade. In 2012, partner Lanny Kinrade moved on to other ventures and is no longer involved with Hidden Chapel Winery. Deborah Wilde continues as Proprietor and loves every minute of it. We have a winemaking team rather than one specific winemaker enabling us to make exceptional, award winning wines! 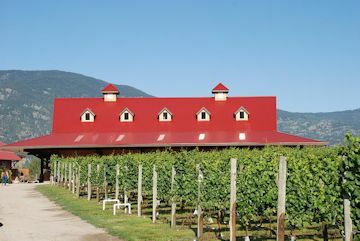 Established by Don Triggs and Allan Jackson in the Fall of 1993, Jackson-Triggs has wineries in both Ontario and British Columbia . 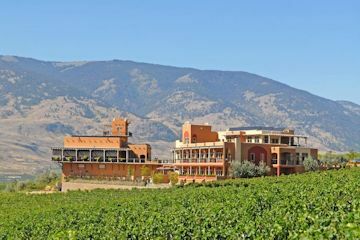 In 1998, Jackson-Triggs leased a 410-acre site from the Osoyoos Indian Band in the Okanagan Valley . Located along striking mountain slopes overlooking Osoyoos Lake , the area's unique climate and soils combine to create an ideal "terroir" for growing a wide selection of premium quality varietals. Le Vieux Pin, named after the old pine on the North-West corner of their vineyard. Wines are made in the French tradition but with the latest in equipment and technique. The focus is to make wine representative of its terroir. Low-input viticulture is the method we use to get there. Dry farming, minimal fertilizer addition, high-density plantings (6 feet x 3 feet) and low yield will allow vines to show who they really are deep down to the roots. Located in one of the most beautiful spots possible on Black Sage Road on Oliver's east side. It has a magnificent west view of the valley from McIntyre Bluff along the Golden Mlle to the Okanagan River. The winery is owned by Gary Mission and his wife Montakarn. The work of planting the vineyards began in 2003. Today the vineyards are planted with Merlot, Chardonnay, Cabernet Franc, Syrah and Malbec. Gary has a degree in architecture technology. He designed the winery buildings. Located on the Black Sage Bench owned by Gina Fernandes Harfman. In 2002, the Hagermans bought an orchard south of Oliver, on Black Sage Road , with a winery in mind. They replaced the fruit trees in 2006 with 5.6 hectares (17 acres of grapes) and built their winery, launching it with 2,500 cases of wine from purchased grapes (Chardonnay, Pinot Gris, Kerner, Merlot and Pinot Noir.) Winemaking consultant Christine Leroux helped the Hagermans through their first vintage. They hired Gina as the assistant winemaker. As the Hagermans decided to move on Gina and her husband bought the winery. Chances are you will see an old classic car on site and lots of nostalgic memorabilia inside the wine shop. In fact, they even created a new wine series called "NOSTALGIA" based on this theme featuring fancy hot rods with cute pin up girls on the labels. Visiting Oliver Twist is a trip down memory lane. The vineyards are locate along the Black Sage Road. One faith is owned by Bill Lui Winn Choi. The wines are produced at Time Estate. 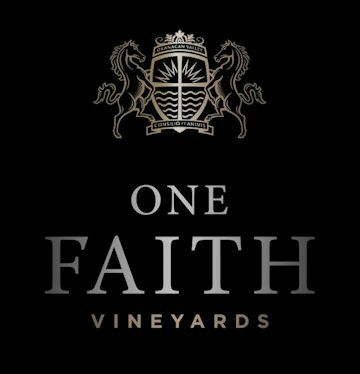 The One Faith Vineyard is a carefully selected site in Oliver on the Black Sage Bench that boasts some of the warmest temperatures of anywhere in Canada, and a complex soil structure that lends elegance and depth to the finished wine. One Faith is made entirely by hand and is extremely labour intensive. Each varietal lot, including Cabernet Sauvignon, Merlot and Cabernet Franc, is fermented in premium first-use French oak barriques, sourced only from the very best coopers in France, Tonnellerie Baron and Ermitage barrels, and delivering well integrated notes. Their logo is based on the traditional character for Bai. The character has evolved over time, but the character we used is over 1000 years old! 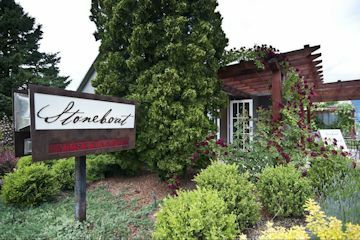 Phantom Creek and Sundial Vineyards, Phantom Creek predominantly grows Bordeaux reds and Syrah. A new state of the art winery will be built on the Sundial Vineyard property beginning in June 2017 and is projected to open in Spring 2019. The first vintage, now maturing in barrel, was made in a temporary facility on the property in 2016. 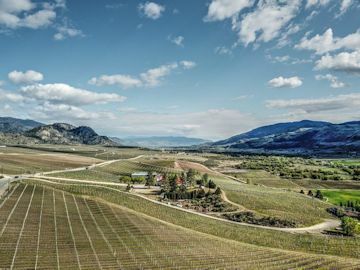 November 2017 Phantom Creek acquired 63-acres (25.49 hectares) of vineyard on the Golden Mile Bench in British Columbia’s south Okanagan Valley. The estate vineyards are farmed with care and precision under the guidance of Olivier Humbrecht MW, one of the leading authorities on organic and biodynamic farming. Rick Wise is the winemaker. The vineyard they bought was planted over 15 years ago with Chardonnay, Pinot Gris, Merlot, Cabernet Sauvignon, Merlot and Gamay. 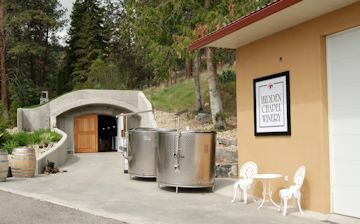 They obtained the help of Okanagan Crush bad and their first wines 2011 were made by Michael Bartier. When the vineyard was purchased it had a scarecrow which remains today. A small, family owned and operated by Ted and Lorraine Kane. Located on a small knoll in the middle of the valley, just south of the well recognized McIntyre Bluff and just north of Oliver. The winery tasting room and the families' home is surrounded by vineyards. The winery name, River Stone, and vineyard name, River Rock Vineyards indicates the vines come from the deep rock and gravel soils laid down following the last glacial recession. They grow five red Bordeaux varietals; Merlot, Cabernet Sauvignon, Cabernet Franc, Malbec and Petit Verdot as well as two white varietals; Pinot Gris and Gewürztraminer. Long sunlit summer days followed by fall’s warm days and cool nights have consistently produced premium quality fruit. Prior to starting the vineyard, Ted was a Respiratory Therapist for 12 years, but has always been interested in and obsessed with winemaking and grape-growing. Ted’s dreams and attention to detail are evident in every aspect of the winery, from the vineyard layout, to the house construction, to the flavours in the wine. It all started with a passion for winemaking and the love of all things technical. I started making wine at the age of 19. I soon realized that the best wines came from the best grapes and ventured out to find this quality fruit. My quest led me to the deep south of BC to Oliver and arguably the best grape growing region of Canada. Over time, I came to develop a particular affinity for the Bordeaux red varietals and the wines being produced in a new world style. These are rich in color and texture and bold in fruit flavours. 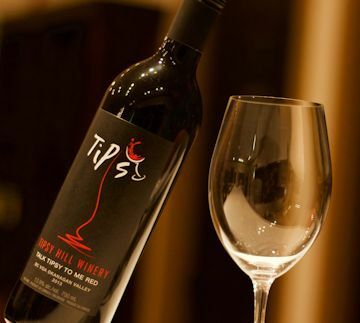 Owned by the Cheema & Toor families The relationship that was decades in the building comes to fruition in Tipsy Hill Winery. 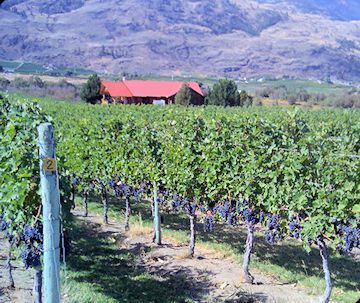 A top the hill overlooking the Black Sage Bench, members of two generations of these great families produce Okanagan wines. Rajen Toor ( second generation of the Toor family to enter the wine business) is owner Ursa Major Estate Winery . His family owns Desert Hills. 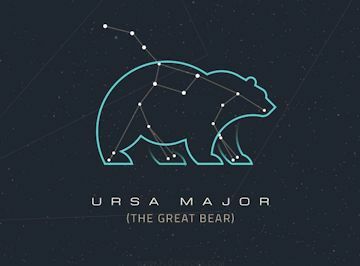 Ursa Major is a constellation in the northern celestial hemisphere. It means the great bear.